Created by a Milan design studio this apartment is nothing short of extraordinary. 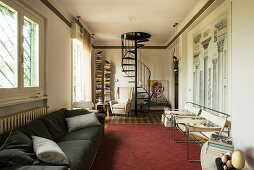 The apartment is split into levels and joined by an elegant spiral staircase. 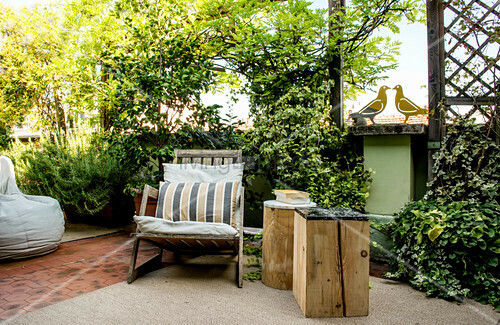 But the real beauty of this space is the terrace that runs along the entire living space! Decorated with vintage furnishings and a tilt toward contemporary design you may never want to leave.